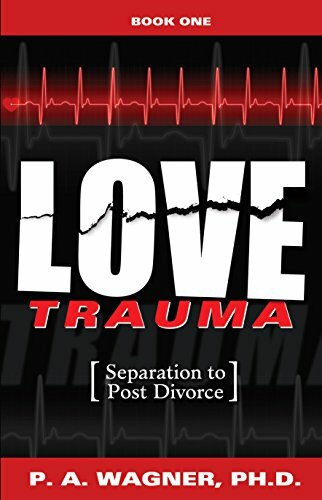 about this book: Paul A. Wagner, Ph.D. is an authority on divorce recovery with University affiliations at Missouri, Stanford, Yale and Harvard. He is a world class counselor for dealing with the trauma associated with divorce. To write this first book, he interviewed over 1,000 people, men and women, dealing with the traumas of divorce while a professor at the University of Houston, Clear Lake, Texas. Divorce is the death of a relationship but for friends and family, it is not treated as a death as far as their concern and support of the person going through this traumatic time of their life. Divorcees have to handle it mostly by themselves. They have to get past the loneliness, the financial tribulations and wondering how to start over. Dr. Wagner guides you through this time and leads you to his second book, Beyond Love Trauma. This is a battle of self and circumstances. Dealing with guilt of failure, guilt of a broken home and a broken life. Dr. Wagner's path to recovery hits every point, every feeling that divorcees experience and offers a solid path to living life again. His wisdom is un-exceeded and his readers will gain the knowledge of this well-known counselor. The book is great for addicts, alcoholics and recovering life students. Many recovery programs associated with churches use this book as a guide.